Beach BOOSTER Radio Podcasts - BEACH CORNER with Dianna Chycki - Orginally broadcast on Beach BOOSTER Radio Dec 2015. BEACH CORNER with Dianna Chycki - Orginally broadcast on Beach BOOSTER Radio Dec 2015. 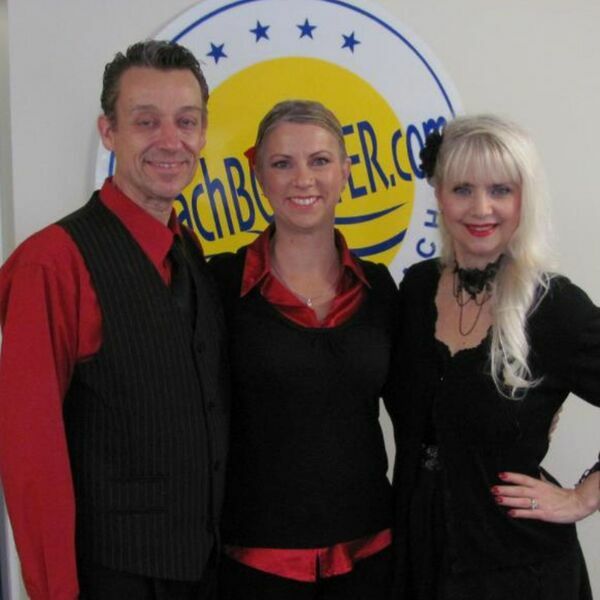 Description: On this BEACH CORNER show, Dianna's guests are April and Phillip Worrall from Techniques Ballroom and Latin Dance in Wasaga Beach. Learn about the many positive effects, as April and Phillip share some of the social aspects and benefits of dancing. BEACH CORNER is broadcast on Beach BOOSTER Radio every Tuesday and Thursdays at 5 & 7 pm, sponsored by Exchanging Vows Bridal Boutique in Collingwood. Beach BOOSTER photo by Joe Bickerstaff. On this BEACH CORNER show, Dianna's guests are April and Phillip Worrall from Techniques Ballroom and Latin Dance in Wasaga Beach. Learn about the many positive effects, as April and Phillip share some of the social aspects and benefits of dancing. BEACH CORNER is broadcast on Beach BOOSTER Radio every Tuesday and Thursdays at 5 & 7 pm, sponsored by Exchanging Vows Bridal Boutique in Collingwood. Beach BOOSTER photo by Joe Bickerstaff.